Slim is Dutch for smart, English for you know what. 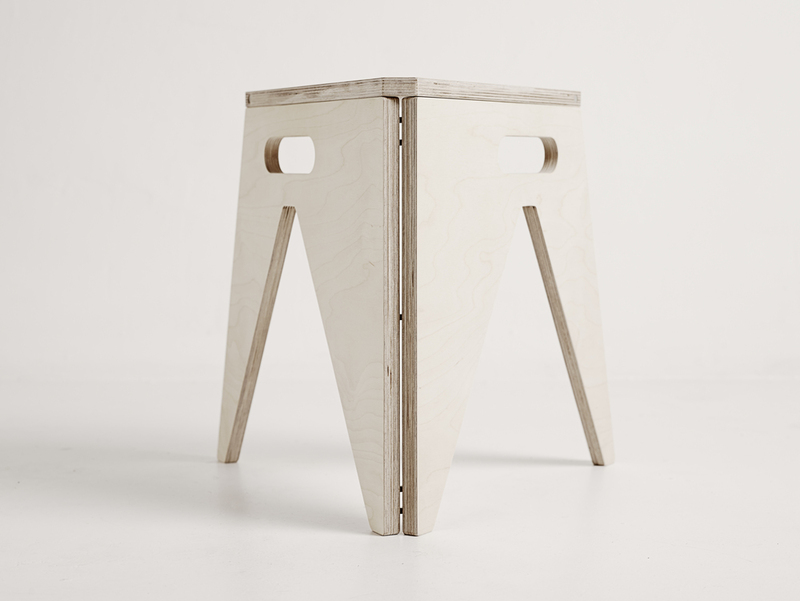 This object looks very light and simple when collapsed but transforms in a functional stool within seconds. The seating is hold tight to the legs using Neodymium magnets and the legs stay together by very strong hidden hinges. Although it may look light, it support weights up to 130 kilograms. Built in is a locking mechanism on top which blocks lateral movement of the seat. 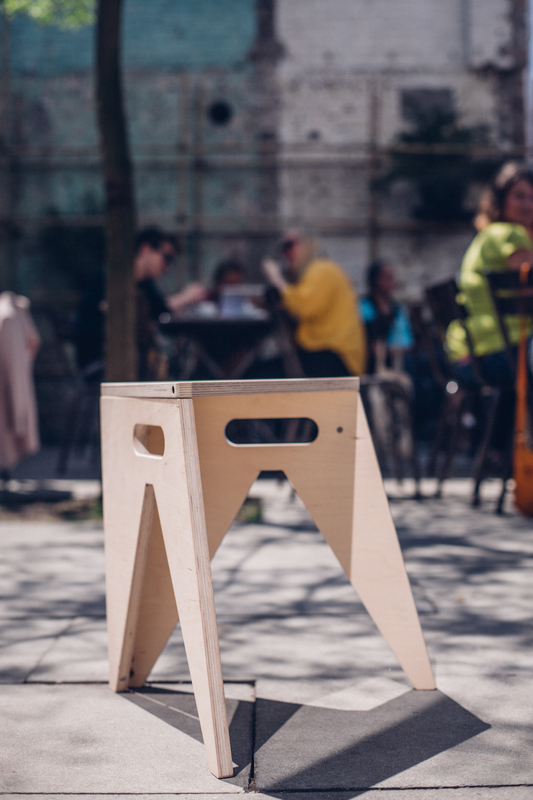 The best thing about the stool is the smile on every adult or kids face when revealing the secret behind the banal looking sheet of wood.